CHARLOTTESVILLE, Va. — Future Deputy Attorney General Austin Spencer “Rex” Rexhall’s Friday night at Charlottesville’s famed Trinity Irish Pub will definitely come up during his 2050 Senate hearing, sources confirmed Monday. What began as a simple endeavor to enjoy a night out with the boys quickly devolved into a night of substance-induced turmoil worthy of several days of public hearings with a future Senate Judiciary Committee. Rexhall, a sophomore political science major and future graduate of the Appalachian School of Law, reportedly arrived at Trinity at approximately 10:30 p.m. Witnesses say the group appeared heavily intoxicated upon entry, and had been drinking and doing Xanax prior to their arrival. Security video, which will later circulate on WorldStarHipHop, shows Trinity staff attempting to subdue Rexhall after a brief chase ending at the establishment’s second floor balcony. Witnesses stated that Rexhall fended off the approaching security guards with blasts from a nearby fire extinguisher before screaming, “This is the day you almost caught Captain Jack Sparrow,” and jumping off the balcony. After sneaking back into the bar, security ultimately allowed him to stay. Experts were able to verify that this was due to his white privilege and the irrefutable scientific fact that boys will be boys. Future investigation will show that even though Rexhall carefully inputted all of his events in his Google calendar, this evening at Trinity was not listed. It is one of many incidents in years of poor decisions, each of which will end with no consequences. 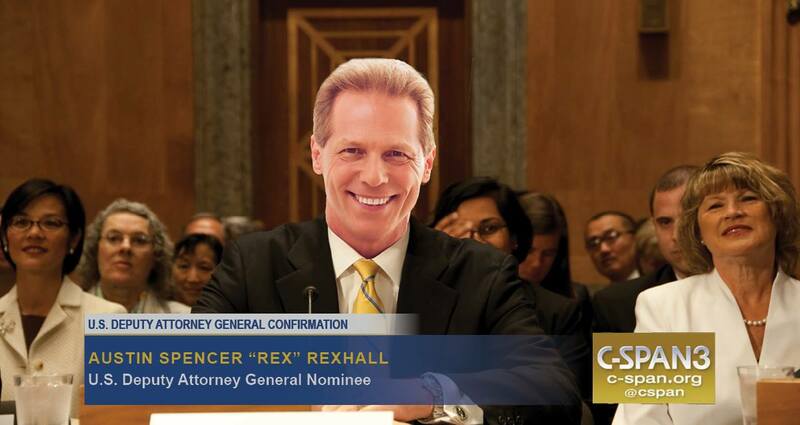 Although Rexhall’s hearing will delay his acceptance as Deputy Attorney General in 2050, experts confirmed that a majority of the Senate will be made up of fellow white men who will merely brush this evening aside, leading to Rexhall’s appointment to the position. Planning to run for office anytime soon? Show you support local journalism by picking up something from our online store.